There is something that is definitely creepy about a skull. After all, that skull used to belong to a human (or an animal, but we would use a human skull in this particular context), who had aspirations, a family once, and who knows? His or her spirit might even be hanging around, turning it into a case of a screaming skull if tradition were to be followed. 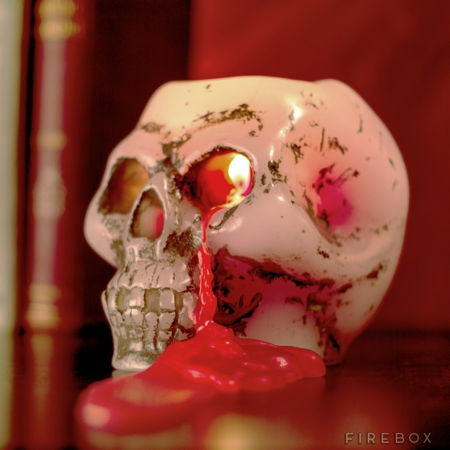 A bleeding skull is also creepy, but rest assured that the £19.99 Bleeding Skull Candle has nothing supernatural about it. In fact, this is a man-made item that intends to add an atmosphere of creepiness to any situation, as the wax from the candle would bleed out of its eye socket as it burns, creating a bleeding effect. Needless to say, the longer the candle burns, the more hideous and bloody it becomes.